1) Actual construction has not started. All that we have thus far is a memorandum of understanding with a Chinese shipyard. An actual contract to build has not been signed yet. 2) Palmer has spent lots of time and money to publicize Titanic II, which will be a replica but built to modern day shipbuilding and safety standards. This publicity tour is a couple of things. First to convince investors and perhaps more importantly the Chinese government,that he is serious about this. After all, there have many who wanted to do the same in the past and it never got beyond the planning stages. Second, to drum up interest in such a vessel. He needs to show people are willing to put down serious money to sail on Titanic II. He needs to get the rich and wealthy to sign up first because they have the big money to spend. 3 )Why a Chinese shipyard? You usually choose a shipbuilder with experience in constructing these ships. Cost is likely a factor but the original Titanic was built in Belfast. The ship will be called the China Titanic informally by a lot of people. 4) What flag will the ship be flying? The original ship was flagged in Britain but today many ship owners skirt tough maritime standards by flagging ships in countries with lax laws about such things. The U.S., for instance, is so strict that few want to flag a ship there and go elsewhere. The U.K. would be the obvious choice but they are pretty strict as well. Palmer may decide the extra cost and hassle is worth it. 5) If I read the press material, they will be offering a first, second and third class on Titanic II. Hopefully third class passengers on this ship will not be sleeping in bunk beds and sharing bathrooms down the hall. 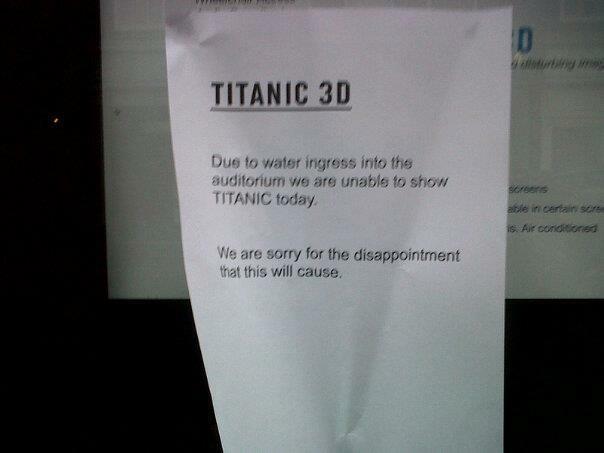 6) I doubt there will be any drinks served on Titanic II with an iceberg in it. Nor one of those Titanic slides for the kids. 7) And finally, will Celine Dion sail on the maiden voyage and entertain crowds with that now famous song? Clive Palmer unveiled blueprints for the famously doomed ship’s namesake Tuesday at the Intrepid Sea, Air and Space Museum in New York. He said construction is scheduled to start soon in China. Palmer said 40,000 people have expressed interest in tickets for the maiden voyage, taking the original course from Southampton, England, to New York. He said people are inspired by his quest to replicate one of the most famous vessels in history. Though ticket prices haven’t been set, several customers have said they’d be willing to pay as much as $1m (£665,000) for a seat on the maiden voyage, claimed James McDonald of Blue Star Line, the company behind the initiative. The ship will carry 900 crew and 2,400 passengers and those behind the ambitious project have insisted that the liner will be equipped with advanced technologies – as well as more than enough lifeboats. Colne’s Titanic in Lancashire Museum has launched a fundraising campaign to keep the attraction open. The museum is seeking £2,000 in funding to keep it going for another 12 months. They are seeking pledges from people who want to be support the facility through the ‘Please Fund Us’ charity website. Nigel Hampson, curator of the museum, said: “The Titanic In Lancashire Museum tells the story of the greatest sea disaster in history and the many Lancashire people who were caught up in this most iconic event. Anybody interested in supporting the museum should visit www.pleasefund.us/projects/titanic-in-lancashire-museum. And starting March 23, New Mexicans will, for the first time, be able to see that bar of soap and more than 120 other artifacts recovered from the vessel that still sits, broken in two, about 375 miles south of Newfoundland on a seabed miles below the surface of the Atlantic Ocean. I think just how hard it is for a bar of soap to stay together for more than 70 years,” said Alexandra Klingelhofer, vice president of collections for Premier Exhibitions, the company that owns the archive. “That’s the story of Titanic. It’s that kind of connection that brings it home.” New Mexico Museum of Natural History and Science staff is “all hands on deck” for the upcoming exhibit, called “Titanic: The Artifact Exhibition,” which will showcase the rise and fall of the British passenger liner that was on its maiden voyage from Southampton, England, to New York City when it struck an iceberg and sank. Exhibit info: New Mexico Museum of Natural History and Science, 23 Mar-27 Oct, 9 a.m.-5 p.m. daily. Tickets go on sale 15 Mar at NMNaturalHistory.org. Whateverblog.dallasnews.com picked up funny picture from Facebook. Apparently a planned showing of Titanic 3D was cancelled due to “water ingress.” I assume that means either a burst pipe or other water damage. At least no ark was necessary. 4. Titanic Cliche Alert: The Ikley Gazzette (UK) reports that Councillor Adrian Naylor called London relocating poor families to Bradford District akin to shifting deckchairs on Titanic. He said: “This doesn’t help Bradford in any way, shape or form. It is just like shifting deckchairs on the Titanic.” Okay,you own it. I suppose the “lifeboats” are the housing units that will never be or something similar. When will politicians learn to leave Titanic alone? I recently rewatched the pilot for Seaquest DSV(NBC,1993). I never watched it during the initial run (1993-1996) and saw only when it was shown on Sci-Fi channel some years ago. The premise is that the oceans are the new frontiers, with colonies now established. Rivalries exist, there are environmental terrorists and all kinds of rogues that the United Earth Oceans Organization (UEO) must deal with. To contend with all of this you need a powerful submersible and that is where Seaquest DSV (Deep Submergence Vehicle) comes in. Seaquest is unlike any other submersible before with a radically different design that makes it look aquatic. Not only does it have the latest technology but has dual military and scientific missions. It is so large that an internal subway system is required to traverse it. It is somewhat similar in concept to Voyage To The Bottom Of The Sea (ABC, 1964-1968). The Seaview, with is distinctive windows in front, was designed for marine research and nominally under civilian control. Like Seaquest, nearly all the officers and crew come from the regular navy. Voyage was set in the 1970’s with the Cold War still raging. Many stories (especially in season 1) dealt with spies, saboteurs and hostile governments along with monsters and aliens. Seaquest is set in 2018 and the world has gone to heck forcing many to head to the oceans for natural resources. The show was meant to showcase underwater action as well but also focus on real science. Which is why Robert Ballard served as a consultant and usually closed out the shows with a commentary. The pilot dealt with a couple of things. First, getting Nathan Bridger (Seaquest designer and former naval officer) back and in command. Second, dealing with a rogue submarine owned by a German speaking millionaire who sees Seaquest as a threat. The rogue is commanded by the former Seaquest captain out for revenge. Third, dealing with the integration of the science and military aspects of the vessel. Bridger ends up taking command when things take a turn for the worse when the primary defense systems fail to operate against the rogue (a computer virus planted by the former captain). He ends up winning the battle by deception. He uses the resident dolphin Darwin to tag the rogue sub with a transponder and then configures the one torpedo they can fire to home in on the signal. I liked the pilot and feel of the ship. It was different and yet had things we all know that ought to be there. I did not care much for the Jonathan Brandis character (Lucas Wolenczak). I suppose they wanted to make Bridger a father figure and also wanted to have super-smart kid that would irritate and solve problems. Using such characters is always risky. They can often irritate the audience and turn them off. Brandis was there to attract the 18-25 age bracket. Stephanie Beacham as Dr. Westphalen was certainly a good idea. Sadly she would not stay with the show beyond season 1 (the one they brought in for season 2 was disliked by fans from what I read). Seaquest was an attempt to take Star Trek and make it work underwater. And it might have worked had the decided early on to stick to a combination of science, fantasy and good entertainment. NBC wanted it one way, the producers the other and NBC won. So instead of stories about realistic underwater adventures it changed to space aliens and monsters with the usual bad suspects of corrupt leaders and business types to round it out. Roy Scheider was vocal in his dislike. Guy Williams, who played John Robinson on Lost in Space, would empathize as he faced the same type of outlandish scripts as well(remember the famous carrot monster!). The revamped series, Seaquest 2032, was darker and perhaps might have had a chance but by that time most had given up watching the show. Seaquest now is remembered in marathons and special showings. For a brief moment it showed something that could have been really good. And it is those moments of this series we can enjoy and consign the rest to Davy Jones Locker. Seaquest is out on DVD (all three seasons) through Netflix or you can purchase it from Amazon here. It is also now being streamed on Netflix as well. A planned replica of the Titanic will stop off in Cobh before sailing to New York – just as the original liner did on its doomed maiden voyage over 100 years ago. Australian tycoon Clive Palmer, who is behind the project to build ‘Titanic II’, has indicated the vessel will be completed by Chinese shipbuilders in just over three years. He said that as soon as 2016 the new ship will follow the same route as the Titanic did in April 1912, when the vessel set sail from Southampton before docking in the Co. Cork port, known as Queenstown at the time, to pick up 123 Irish passengers. These are the first, exclusive glimpses of how Titanic II will look when she arrives in Southampton for her maiden voyage in 2016. More than a century after the original Titanic left the city on her ill-fated voyage a full-scale replica is due to make her international debut in Southampton. According to the new computer generated images, Titanic II, which will be built in one of China’s biggest shipyards, is expected to be as lavish as the former White Star Liner back in 1912. If successfully completed Titanic II will defy sceptics who said the ship would never be built. Like her predecessor, Titanic II will have four funnels, a highly unusual feature for 21st century vessels, and mirror the look and outline of the first ship the wreck of which now lies on the bottom of the Atlantic. The interiors of the new ship are being designed to echo many of the features which caused such a sensation when the former Titanic arrived in the docks more than 100 years ago. Is Palmer worried about copy-cats? That would be the only reason to trademark these particular words. Assuming this is true, he would want to prevent others from naming their ships Titanic II or III. It is possible other cruise lines out there (like Cunard, for one) see a profit potential in a Titanic replica and could have plans in that regard. There is also just a whiff that all of this might be some grand scheme of something else. What that might be I cannot say but time will tell. *The Jason Project, founded by Robert Ballard, is a non-profit partnered with National Geographic Society and Sea Reasearch Foundation, seeks to interest students in science. Many schools see this as a way to boost their science and math programs. Find more info at jason.org. *The recent meteor that landed in Russia causing much damage reminded me of an old Arthur C. Clarke book called Rendezvous With Rama. The opening chapters of the book talked about how the need for monitoring asteroids and meteors came about when a large meteor came crashing down on Earth. Many lost their hearing due to the sonic boom, massive damage resulted from the shock wave to buildings and other things. His book is prescient on how even a small chunk of space rock can inflict a lot of damage. Imagine if it had crashed into a major city. It would look like either a small nuclear device had gone off or the city had been bombed like Dresden in World War II. *I realize pizza chains seek to draw in customers with new formulations. Papa John’s sent out an advert offering a deal on its—gasp—steak and cheese pizza. According to their website, this pizza has steak, mozzarella cheese, and a creamy garlic parmesan and pizza sauce with an Italian herb seasoning. Those famous Philly steak places are probably laughing while the old traditional pizzerias in New York are just shaking their heads at this. One wonders what is next. Perhaps kung pao chicken pizza? *You know things are not doing well in the economy when local shops offer “Titanic bargains” just before they go out of business. Wallace Hartley’s violin is going to be auctioned off, reports the Daily Mail. The violin has undergone extensive scientific tests to determine its authenticity. So far, the violin has proved genuine but final tests confirming authenticity are still being done. The anonymous seller claims Maria Robinson, Hartley’s bereaved fiancé, retrieved the violin after his death. Hartley’s body and two other musicians were recovered and taken to Nova Scotia by CS Mackay-Bennett. Hartley’s body was returned to England and buried in Colne. The violin, which reportedly was strapped to his body at time of recovery, was not itemized with his effects when his body was returned. It led to speculation that someone had taken the violin. Henry Aldridge and Son, who has auctioned off many Titanic items in the past, is the auctioneer for the violin. The Daily Mail reports the auctioneer has spent considerable money to have the violin authenticated. If authentic, it would command a very high price at auction. It might even, as some speculate, be the most expensive Titanic artifact ever auctioned (not counting of course the possible sale of the entire artifact collection from RMS Titanic). I hope the violin is authentic. It is a genuine piece of history and a reminder of love—and loss. Clive Palmer, the Australian billionaire behind the proposed construction of a Titanic replica, is telling the press about all the inquiries he has gotten thus far. The ship has not even begun construction and already some are willing to put up $1 million to be on its maiden voyage. I suspect the whiff of creative writing on that. Perhaps he ought to invite Donald Trump to do a celebrity apprentice show aboard the new ship or have it included in an upcoming season of The Amazing Race. Mlive.com is reporting that the opening of Titanic exhibition at Grand Rapids Public Museum on 9 Feb drew in nearly 3,500 visitors that weekend. Both days were sold out with many people trying to get in at the last minute. Kate Moore, marketing director for the museum, suggests purchasing tickets in advance since the exhibition can only accommodate 200 visitors at a time. For exhibition hours, admission prices, and how to get there, go to grmuseum.org.